I always get a lot of questions about my hair and you guys voted in a poll on Instagram that you would love to see an updated hair care routine from me. 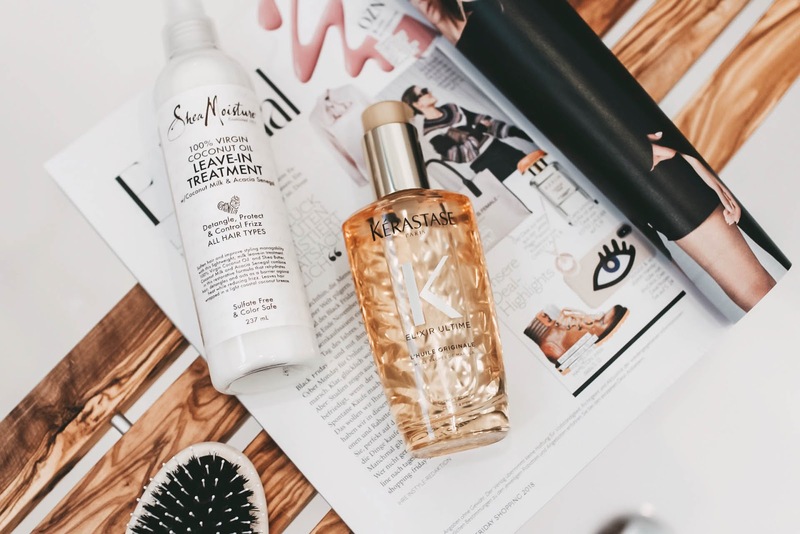 Your wish is my command, so today I'm sharing the only three products that I'm currently using on my hair to keep it long, healthy and shiny. I have been using these products for a couple of months now and I can wholeheartedly recommend them to you guys. 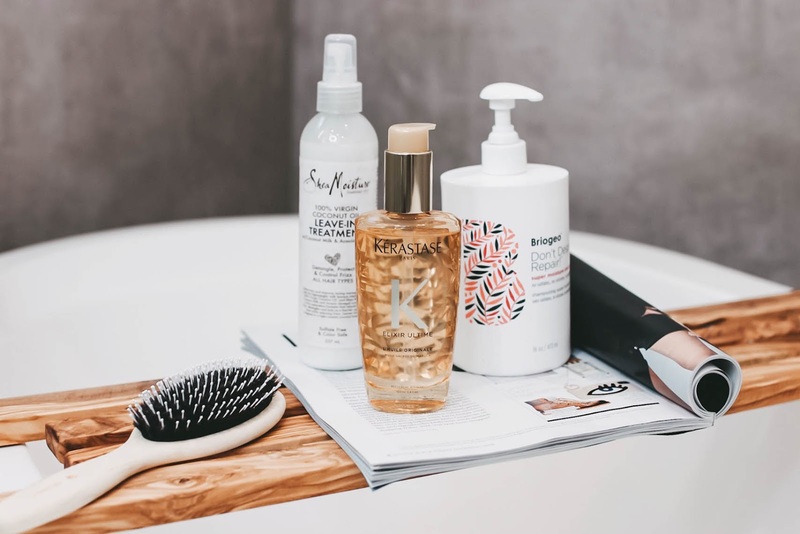 Now, read on to find out everything about my hair care routine. My hair care routine consists of only three super simple steps. The first and most important step is of course: scalp care! I start by washing my hair with the Briogeo Don't Despair, Repair!, an extremely moisturising shampoo designed specifically for dry and damaged hair. Since I do have pretty long and thick hair, I have to be extra careful to not cause any damage to my lengths. This shampoo is amazing for that! 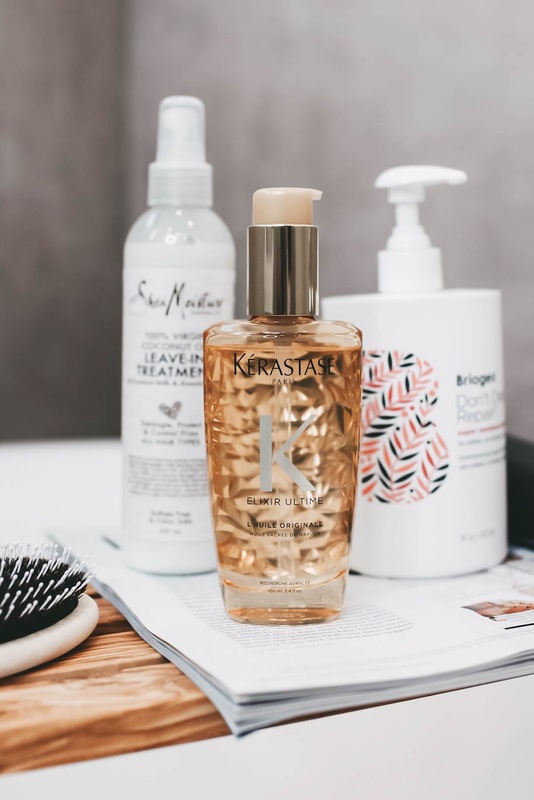 Not only does it thoroughly cleanse the scalp, it also moisturises and improves the overall texture and strength of my hair. Briogeo describes this product as if a shampoo and hair mask had a baby and I can totally see where they're coming from. After using it I don't feel the need to apply a conditioner to my lengths. I also love that Briogeo doesn't use any harsh ingredients and instead provide deep cleansing and hydration benefits through a unique combination of algae extract, panthenol and biotin. I don't think I will ever go back to using a different shampoo, I can totally see why there's so much hype around this brand. So if you're looking for a new shampoo I highly recommend giving this one a go. On a recent trip to Manchester with LookFantastic I was introduced to a brand that I had never heard of before. Shea Moisture strive to be an organic and sustainable hair care brand using only the best ingredients to maintain healthy and strong hair. I got to try their 100% Virgin Coconut Oil Leave-In Treatment and you guys know how much I love using coconut oil on my hair. In fact I believe my very first blog post back in 2013 was about all the various benefits coconut oil has, so there you go. However, after towel drying my hair I spray this treatment all over and it instantly softens and detangles my hair. 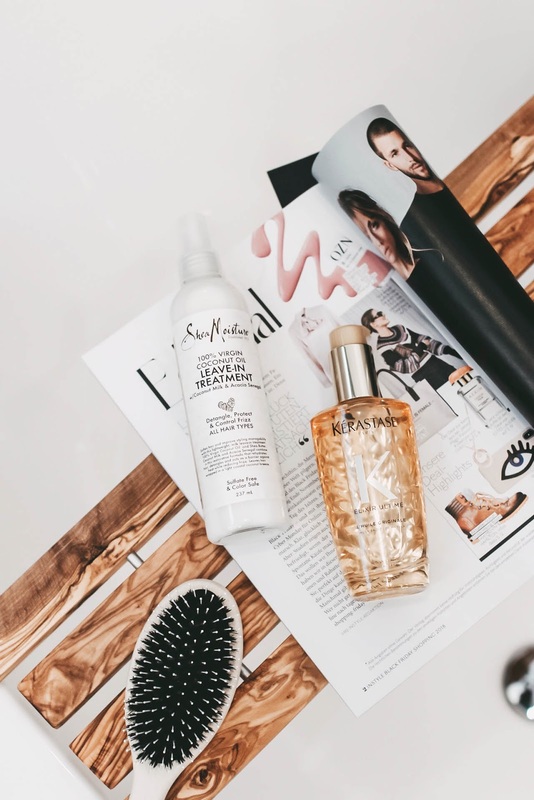 I love everything about this product: from the bottle and the texture of the spray, to its smell and, most of all of course, efficiency. At the same event I was extremely lucky to take part in a masterclass with Kérastase. I got the chance to learn more about their iconic Elixir Ultime L'Original and I honestly can't picture my hair routine without this oil anymore. 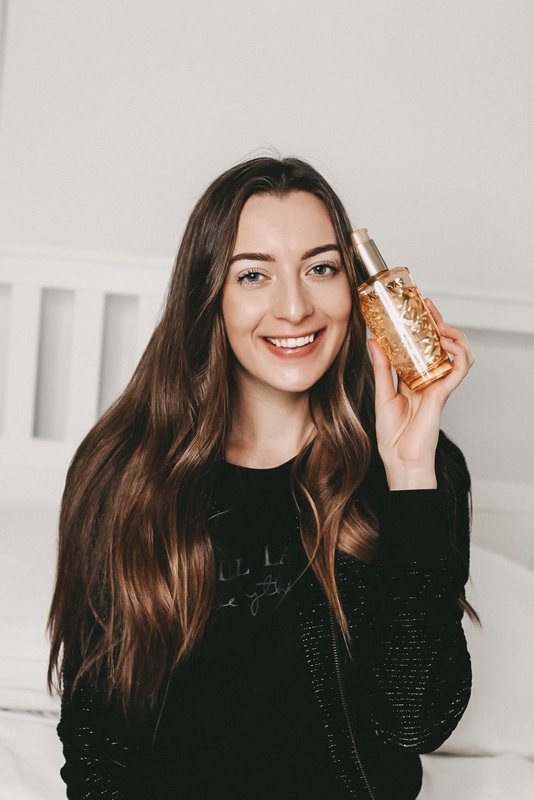 This is my absolute favourite hair oil because it feels so light and doesn't weight down my hair. It makes my hair look and feel so smooth and shiny. It's the perfect product to finish off any hairstyle and you always have that fresh out of the salon feeling. 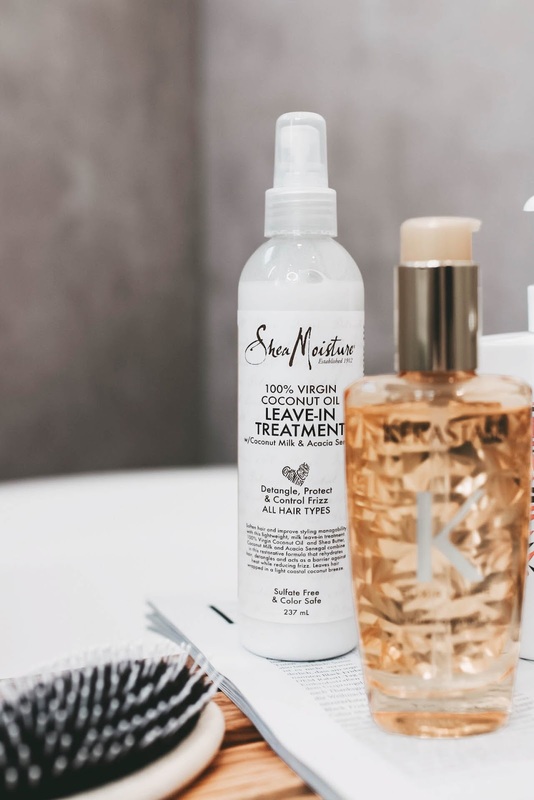 Have you guys tried any of these products before? Let me in on your secrets for long, healthy hair in the comments below!